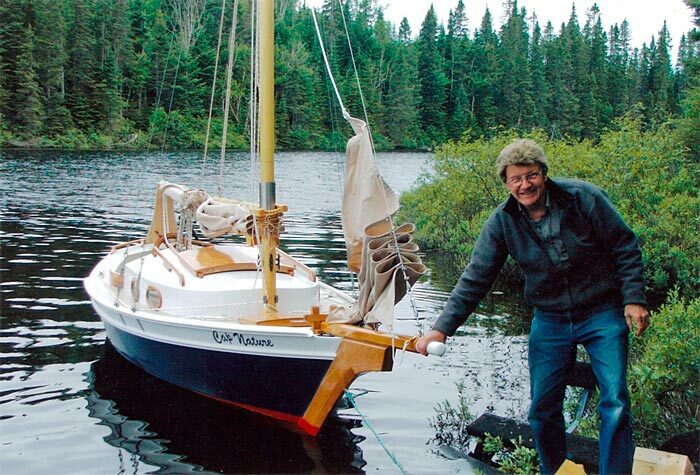 After visiting several wooden boat shows in the northeast, Andre Vachon finally built his own boat, CAP NATURE, and launched it in June 2005. CAP NATURE is a 16-foot long Stevenson Projects One Design. 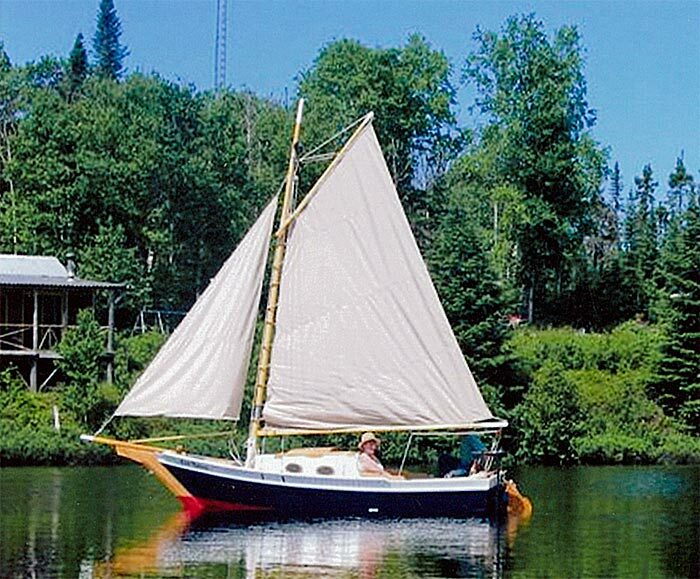 Andre had some help from his woodworking club in Beaufort, particularly his friend, Pierre Pichette. 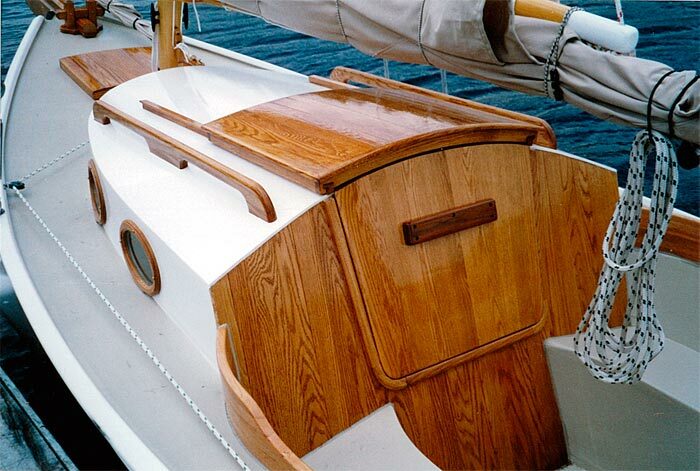 The boat is epoxy-covered plywood with red oak trim.